Mandatory Jail Time – Up to 10 Days! To mount a successful DUI/DWI Defense you will need a drunk driving attorney in Tempe that takes pride in knowing more about the matters of Arizona DUI defense than the prosecution and police officers. DMCantor will be “Beyond Aggressive” in your defense. Our David Michael Cantor and his team of Tempe DUI attorneys have many years of experience handling cases at the Tempe Municipal Court. In over 25 years that David Michael Cantor has been licensed to practice criminal defense in Arizona, he and his team of drunk driving attorneys have documented over 1,600 DUI victories made up of DUI charges that were reduced, dismissed, or thrown out all together. David Cantor and his team have years of experience and are knowledgeable on the most successful DUI defense strategies and tactics that work. If you have been suspected of a DUI in Tempe on or near the Arizona State campus, Mill Avenue, or anywhere else in the city of Tempe, give us a call, we can help. A DUI lawyer is available 24 hours a day via phone or email so contact us today to schedule a free case review with a Tempe DUI Lawyer. How much is your future worth? Is it worth 30 minutes of your time to speak with an attorney? Give us a call, (602) 307-0808. 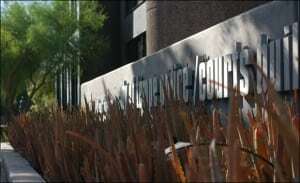 Click here to learn more about Tempe City Court. If you would like a free consultation with a Tempe DUI Defense Attorney, please give us a call at (602) 307-0808 or send us an email and we’ll get back to you as soon as possible. Our free DUI consultation lasts about a 30 minutes in our office and we’ll pay for your parking if you park under our building, the Cityscape office building in downtown Phoenix. Our offices are located near Tempe and David Michael Cantor had his office in Tempe for many years. Give us a call to schedule a time to discuss your case.